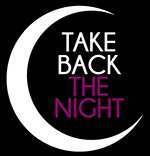 Take Back the Night, a walk to create awareness of and provide information about violence, is set for Thursday (Oct. 27) in the Beaver Dam beginning at 7 p.m. Minot State University’s Student Social Work Organization and Title IX Office and the Domestic Violence Crisis Center sponsor the event. For the awareness walk around campus, luminaries will provide light for the path. Participants return to the Beaver Dam, where they will listen to a survivor’s story, view videos and enjoy refreshments. For more information, read the full news release. For questions, contact SSWO at sswo@minotstateu.edu. Draza Markovic, physics assistant professor, will discuss “Gravity Waves” Wednesday (Oct. 26) in Aleshire Theater at 7 p.m. This presentation, which is free and open to the public, is part of the Northwest Art Center lecture series. Gravitational waves are ripples in the curvature of space time that propagate as waves at the speed of light, generated in certain gravitational interactions. The possibility of gravitational waves was discussed in 1893 by Oliver Heaviside and predicted in 1916 by Albert Einstein on the basis of his theory of general relativity. In February 2016, the first observation of gravitational waves was announced by the Laser Interferometer Gravitational-Wave Observatory Scientific Collaboration and Virgo Collaboration teams. Markovic will discuss this recent discovery in the context of his personal interest and research on the topic. An informal reception will follow. For questions, contact Avis Veikley, Northwest Art Center director, at avis.veikley@minotstateu.edu. Minot State University Staff Senate and the Marketing Office are sponsoring Be in the Know sessions, which staff and faculty are welcome to attend, during fall semester 2016. These sessions answer questions about MSU departments, policies or procedures or provide professional development. Thursday (Oct. 27), 9-10 a.m. and Friday (Oct. 28), 1-2 p.m. in Old Main 106B — “Fair Labor Standards Act (FLSA) Training” by Marc Wachtfogel, human resources director. Nov. 15, 2-3 p.m. in Old Main 314 — “Outlook with a Touch of ShoreTel” by Linda Conn, ITC office clerk. Nov. 29, 1-3 p.m. in Old Main 314 — “Intermediate Excel” by Jan Repnow, business information technology assistant professor. Dec. 5, 10-10:30 a.m. in the Westlie Room — “Updates to MSU’s Admission Standards” by Katie Tyler, enrollment services director. For questions, contact Teresa Loftesnes, director of marketing at 858-3062 or teresa.loftesnes@minotstateu.edu. The Western Plains Opera Company is extending open auditions for all roles (except Tevye) for its January production of “Fiddler on the Roof.” Auditions will be Saturday (Oct. 29) in Ann Nicole Nelson Hall, 10 a.m.-noon. Adults are needed; roles are available for ages 7-75. Individuals should be prepared to sing one song (Broadway show tune preferred) that displays their voice and acting well. A pianist will be provided. (Individuals should bring sheet music for the pianist.) Regular production rehearsals begin Jan. 2 and run through the performances, with some music/choreography rehearsals on November and December weekends. Performances will be Jan. 26-29. For more information, visit the audition announcement and character descriptions. Minot State University’s Campus Players will present its 24-Hour Play Festival performance in Aleshire Theater Saturday (Oct. 29) at 7:30 p.m. Admission is $5. For questions, contact Abrahamson at katie.abrahamson@my.minotstateu.edu or Erin Bliss, co-producer, at erin.bliss@my.minotstateu.edu. Tuesday (Nov. 1) in the Conference Center, 9 a.m. — Chase Iron Eyes, a Native American attorney and Congressional candidate, will open the Native American Cultural Celebration and welcome all. After Iron Eyes’ welcome, a panel will discuss “What you wanted to know about the Native culture but didn’t ask” and answer questions. Nov. 8 in the Multicultural Center, 1 p.m. — Sandra Bercier, First Nations Women’s Alliance director, will speak about her organization and its championing women’s rights and issues in North Dakota. Nov. 22 in Aleshire Theater, 7 p.m. — Dr. Tami Jollie-Trottier, clinical psychologist with Seven Stones Health Clinic, will discuss generation art and turtle medicine. Her presentation is in conjunction with the Northwest Art Center lecture series. For questions, contact Mennem at 858-3365 or annette.mennem@minotstateu.edu. The North Dakota Center for Persons with Disabilities, a Center of Excellence at Minot State University, was recently awarded $300,000 as a cooperative agreement with the Centers for Medicare and Medicaid to assist North Dakota consumers in accessing health insurance through the federal Marketplace with the North Dakota Navigator Project. Navigators guide consumers through choosing a plan. Residents can consider options which may be available to them to lower their monthly premiums or provide coverage at no cost. If someone does not have health insurance, they can contact a Navigator at 800-233-1737, visit www.ndcpd.org/navigator or follow on Facebook at ND Navigator Project. For more information, read the full news release. For questions, contact Scharpe at 858-3596 or neil.scharpe@minotstateu.edu. Minot State University’s Wellness Fair will be Nov. 3 in the Student Center Atrium, 11 a.m.-1:30 p.m. Students, faculty and staff are invited. Come meet with and learn from local businesses and school groups that excel in wellness. For questions, contact Karina Stander, wellness specialist, at contact karina.stander@minotstateu.edu. Minot State University’s Division of Music will host Fubuki Daiko, a traditional Japanese taiko drumming ensemble from Winnipeg, Nov. 4 in a Day of Percussion that includes percussion workshops and an evening percussion concert. Taiko is a high-energy, percussion-based art form that combines music, choreography and costume in a performance that is visually exciting as well as musically appealing. The percussion workshops will run from 9:30 a.m. to 3:30 p.m. in Swain Hall. 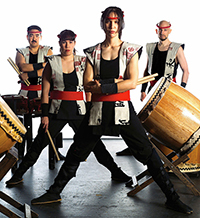 The day’s activities will conclude with a concert by Fubuki Daiko at 8 p.m. in Ann Nicole Nelson Hall. The workshop and concert are free and open to the public. The Day of Percussion is presented in conjunction with the Northwest International Festival of Music. For more information, read the full news release or to register for the workshop, contact Avis Veikley, percussion instructor, at 858-3264 or avis.veikley@minotstateu.edu. Oct. 26-28 — “Regando el Maíz y el Nopal (Watering the Corn and the Cactus),” etchings by artist Marco Hernandez, best-of-show winner from Americas 2015: All Media juried competition, Library Gallery. Oct. 26-Nov. 10 — “Nuances,” collaged monotypes by North Dakota native Michelle Lindblom, Hartnett Gallery. Nov. 3-30 — “Paradise in the Summer Dark,” paintings by Susana Amundarain, art instructor, Library Gallery. Kristi Berg, associate professor of business information technology, presented a paper titled “Unbreakable: A Concise History of Cybersecurity” at the International Association of Computer Information Systems Conference Oct. 5-8 in Nashville, Tenn.
Department of Teacher Education and Human Performance faculty and graduate students represented Minot State University at the American Association of Teaching and Curriculum Conference in Grand Rapids, Mich., in October. Dan Conn, assistant professor of teacher education, co-authored a book chapter, “Promises and Impossibilities: The Discourse of the Great Industrial Assessment Complex,” with Michelle Tenam-Zemach of Nova Southeastern University, which was featured in a panel discussion for the upcoming book, “Politics and the Curriculum: A Presentation of an Edited Text,” by Tenam-Zemach and William White of James Madison University. Conn also co-presented the O.L. Davis Jr. Outstanding Book of the Year Award. Courtenay Corpe, graduate student and wellness specialist, and Conn presented a research article titled “Finding balance: What can educators learn about the practice of teaching through the practice of yoga?” Terry Eckmann, professor of physical education, was a third author on the article. Conn and Juria Wiechmann, graduate student, presented a research article, “Broader strokes: The curricular and pedagogical possibilities of multiage educational settings.” Leslee Thorpe, instructor of early childhood education, was a third author on the article. Rick Watson, instructor of humanities and music, was named an alumni fellow by Dickinson State University. He was recognized at an Oct. 13 banquet. Lori Willoughby, chair and professor within the Department of Business Information Technology, co-presented a paper, “Social Media Presence-Based Trust for Enterprise Knowledge Sharing: An Empirical Investigation,” at the IACIS Conference Oct. 5-8 in Nashville, Tenn.